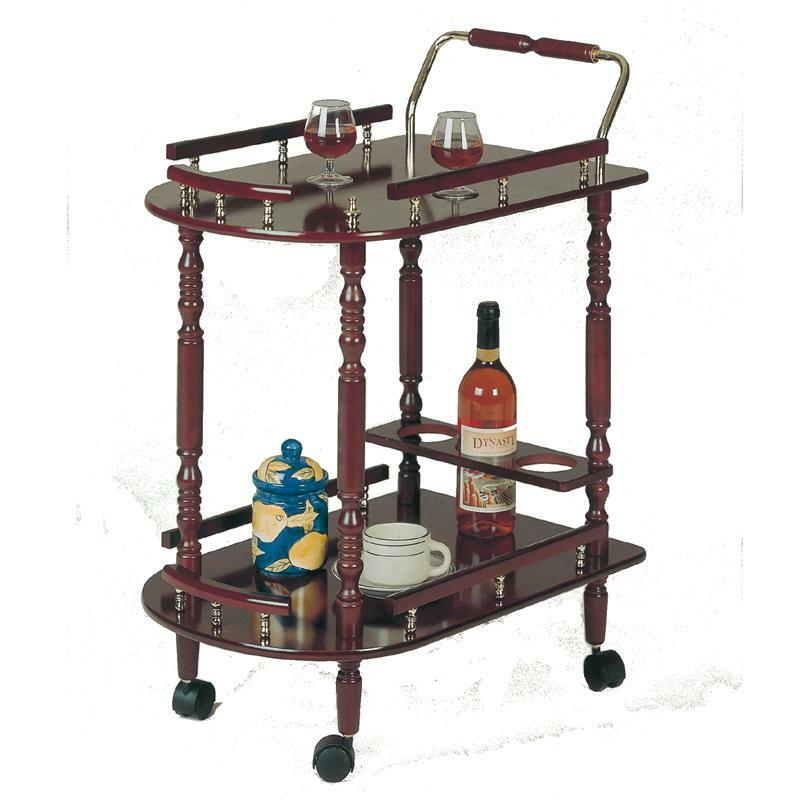 This serving cart will add sophistication and charm to your home. It features cherry finish with brass accents and four wheels. It has one shelf at the bottom to keep your plates, cups and more. It has one long shelf at the top for serving the drinks and snacks and also a convenient wine rack at the bottom to hold up to 3 bottles. The 3512 Serving Cart with Brass Accents by Coaster at Michael's Furniture Warehouse in the San Fernando & Los Angeles area. Product availability may vary. Contact us for the most current availability on this product. Storage 2 shelves, 3 wine bottle storage compartments.